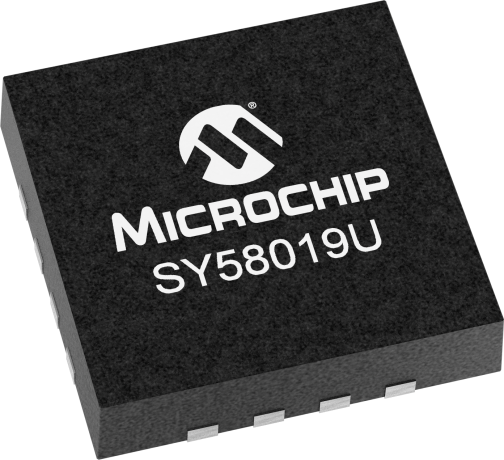 The SY58019U is a 2.5V/3.3V precision, high-speed, 2:1 differential MUX capable of handling clocks up to 7GHz and data up to 10.7Gbps.The differential input includes Micrel's unique, 3-pin input termination architecture that allows customers to interface to any differential signal (AC- or DC-coupled) as small as 100mV without any level shifting or termination resistor networks in the signal path. The outputs are 400mV, 100k compatible, LVPECL, with extremely fast rise/fall times guaranteed to be less than 70ps.The SY58019U operates from a 2.5V ±5% supply or a 3.3V ±10% supply and is guaranteed over the full industrial temperature range of -40°C to +85°C. For applications that require CML outputs, consider the SY58017U or for 800mV LVPECL outputs the SY58018U. The SY58019U is part of Micrel's high-speed, Precision Edge® product line.